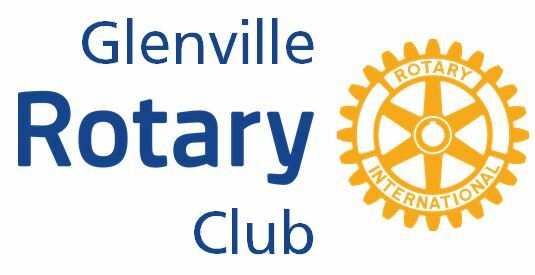 What has become a multi-decade project, Glenville Rotary again partnered with our local YMCA. 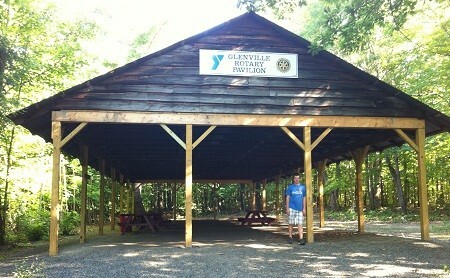 Under the directions of 2009-10 Glenville Rotary President David Hennel, Rotarians volunteered and coordinated efforts with the Town and the YMCA staff to rehabilitate a picnic pavilion located in the woods behind the YMCA and adjacent to the trails in Indian Meadows. Originally built in the late 1960s by Scotia Rotarians, the pavilion was then updated with a new roof in the 1980s during the tenure of Glenville Rotary President Jim Golden. The most recent renovation replaced the support posts which allowed the YMCA to reopen the pavilion for use during its summer youth programs. A Rotary work day also provided some “sweat equity” to clear brush around the pavilion and make it more visible from the YMCA fields and nearby trail. Significant trail work on the running trails in the northmost section of Indian Meadows resulted in the addition of tons of stone and some drainage work to allow residents to be able to use that section of the trail during wet seasons. Trails are open for hiking, walking or running during the warmer months. During the winter they get use as cross country ski trails.